Austin is quickly becoming one of the hottest spots in the country to get married. From the seemingly unlimited amount of venue options, great choices for catering and a pinch of weirdness that you have grown to love and adore, Austin is where it's at. But before you get carried away make sure that you set yourself up for success by hiring a wedding planner. Wedding planners save time, money and stress as they can juggle all of the tasks both known and unknown that come with planning a wedding while you sit back and let them work. I had the pleasure of interviewing each and everyone of these amazing wedding planners to learn more about how they got started in the business, what their experience has been and how they can be of service to the many brides here in Austin Texas. Learn about each one and if you are in the market for a wedding planner I think this will be a great start for you. Ruth, the owner of SteadyPointConcept (SPC) has been planning weddings and events for over 10 years. Originally born in Nigeria, Ruth's journey into planning began when she landed a position that include coordinating events for the US Embassy and involved tradeshows, conferences, accommodations, registration and much more. She stayed in this position for 5 years before moving to Pennsylvania in 2012. She would eventually land in Austin a little less than a year ago. Ruth got her start planning weddings and corporate events and social events alike. As far as formal training goes Ruth attended event planning school in 2012 in Pennsylvania to receive training in wedding planning and is currently pursuing an advanced diploma in special event planning and design at the North American wedding and Event Academy. Ruth typically takes on 20 to 25 weddings per year to make sure she doesn't overload herself and her largest event today has included over 500 guests. Her favorite part of wedding planning is taking on the challenge of making every wedding different even if there are clients who have very similar requests. She feels as though it's her job to make every wedding unique no matter what. When asked what piece of advice she had to offer brides planning a wedding she responded by saying that brides should definitely look to others for inspiration but always do something that makes their wedding their own. Her ideal client is someone with a clear vision of what they want who is looking for a planner to translate their vision into something both unique and authentic. If you are wanting a planner with lots of formal training, experience planning in a professional setting and a culturally diverse background then Ruth would be a great planner to grab coffee with. Jessica, the founder of Something to Celebrate, grew up in the wedding industry. With her parents owning a wedding videography business Jessica gained tons of behind the scenes exposure which has served her well. In March of 2005 Jessica began helping plan smaller events here and there and when friends started asking for her services she realized she had unique knowledge and decided it was time to launch her own business. As far as formal training is concerned, Jessica has obtained a wedding planning certification from the Association of Bridal Consultants (ABC) and from LWPI, was the former Vice President of the Austin Wedding and Event Coordinators (AWEC), a former member of the International Live Events Association (ILEA) and is a founding member and president of the Association of Wedding Planners here in Austin (AWPA). Long story short, Jessica knows what she is doing! As of right now Jessica's company plans about 50 to 70 weddings per year and has planned close to 800 weddings total. Skills! When asked what piece of advice she could offer brides she suggested that as a bride you shoudl decide early on what your goal is. Whether it be simplicity, publication or simply having the biggest celebration ever, decide what you want first and from there let everything unfold naturally. If you are looking for someone who has been in the wedding industry for years, has TONS of experience and the education to match then consider Jessica and Something to Celebrate. Courtney, an Austin native, comes from the tech world by way of marketing and sales. After climbing the corporate ladder she realized it was time to pursue event planning as she was always planning parties and events for friends and family. Courtney started doing corporate events in March 2014 and since launching ATX events has planned over 50 events and weddings with her largest event being over 800 guests. Courtney has two coordination assistants and a five person staff which includes bartenders and two catering companies that she works with exclusively. Courtney has a broad range of experience planning Christmas parties, housewarming parties, baby showers and corporate parties. The great part is that if you'd like to just hire a caterer or a bartender through her, you have that option as well. Courtney's favorite part about planning weddings is seeing how happy clients are and experiencing the rewards of collaboration to deliver a brides vision. She suggests that brides don't delay in planning and begin at least a year in advance. The longer you wait the harder it is to get exactly what you want. Her ideal client is the bride that wants what they want, (has a clear visions) but be able to compromise when a planner suggests that an idea might not be able to work for one reason or another. It's OK to want what you want but be rational and understanding if things just aren't possible. Courtney at ATX Events offers day of coordination as well as full wedding coordination. Courtney she has planned mostly American weddings but has started to branch out and plan Indian weddings as well. If you are looking for a planner who was born and raised in Austin and can offer exclusive catering services then Courtney and the staff at ATX events would be a great look for you. By her own account, Jen sort of fell into the wedding industry. Before opening up Southern Unique Events (SUE) Jen was in customer service for nine years. She was given the opportunity to manage a venue for five years and after experiencing the joy and fulfillment that came with planning she decided to step out on faith and go to work on her own. The name Southern Unique Events coming from the fact that she believes every person’s wedding is unique and wants to incorporate a feeling of southern charm into the name. Jen's best piece of advice to future brides is to be organized and have a checklist. With the wealth of information available it's easier than ever and absolutely necessary to be organized to help avoid frustration, miscommunication and stress. Jens ideal client is someone who communicates their wedding needs, is going to have an open mind and is willing to trust her industry knowledge. In addition she wants to work with someone who values their own relationship and someone who will lean on her if they have any questions or concerns lastly do you just want to work with somebody who likes to have fun. With possibly the best name ever for a wedding planner, LOL, Ashlee began her wedding planning career in Dallas where she mentored and shadowed under other well established planners. Eventually Ashlee decided it was time to step out on her own in 2010. Thus, Mrs. Planner was born. Ashlee has a Bachelors of Science in Communications, is certified through the American Association of Certified Wedding Planners and is a founding member and Treasurer of the Associated Wedding Planners of Austin (AWPA). With a little over eight years experience in planning, Ashlee has planned over 90 weddings and typically looks to book about 14 per year. Mrs. Planner has multiple offices in Texas and employs four associate planners to help on your wedding day. Ashlee has planned most of her weddings in Texas with a the largest one having a guest count of 400. She's planned all types of weddings from Christian, Jewish, Nigerian, Vietnamese, Chinese and Indian weddings. Most of the clients who walk through the doors of Mrs. Planner end up with weddings that are custom built just for their unique wants. As far as the bulk of her business is concerned, about 95% of what she plans is weddings. To Ashlee, the best part about being a Wedding Planner is learning about people and hearing their story. Ashlee's main goal is to take care of all the problems and concerns while the bride and groom are present in all the small moments. Her ideal client is someone who is down to earth and who has a clear vision of what they want for their wedding. Mrs. Planner is a go-to resource to help pull everything together. Ashlee's one piece of advice for new brides is to take one thing at a time, one day at a time. To ultimately remember to keep your eye on the prize and know that Ashlee and her associates have your back no matter what. If you're looking for a wedding specialist as well as someone who has a diverse background in planning be sure to give Mrs. Planner a call. She'll take great care of you. Cari also manages a new wedding and event venue in Buda, Texas called The Carrington. This venue will be open to the public this year and can accomodate up to 225 guests. (The natural light in The Carrington is PERFECT by the way) Paired with her event planning service, Cari can offer the best of both worlds for her couples. The best part about wedding planning for Cari is the challenge of creating new and exciting ideas and attempting to always take her skills to the next level. Staying sharp in this industry is a MUST! Cari relies heavily on her business partner Franci Siriwardana in both businesses. Cari calls her the mom of the group because she keeps everything running and everyone inline. Cari's ideal client is a bride who is very trusting and is extremely clear on the vision she has for her wedding day. The number one piece of advice she has for new brides is to go small business as much as possible. The reason being is that small businesses have more ownership over the process as it is their name and brand you'll be working with rather than a corporate entity. This level of ownership is of upmost importance for such a special day! If you are looking for a perfectionist with a decade of experience and extra experience in dealing with venues then get in touch with Cari ASAP! Also, if you have an above average price point for you big day, she'll definitely be able to take care of you. Born in Oklahoma City, Lahoma Dade has spent the last 11 years in Austin, Texas. Before event planning, Lahoma was in the banking industry where she dabbled in mortgage lending, training and development, marketing, sales and corporate event planning. It was after helping several members of her churches young adult and singles ministry that she started to realize that an event planner is a wonderful fit for her task oriented/project management skill-set and everything took off from there. Planning weddings and events was a side-hustle for Lahoma for many years, but she took the leap with Events Unleashed four years ago officially with more than 10 years of experience planning weddings, corporate and non-profit events. Lahoma's staff is comprised of a mix of associate planners, interns and junior planners. Lahoma plans about 40 events per year with a majority of those being weddings and the largest being a festival with more than 2,000 attendees. With a knack for planning unique, culturally infused weddings Lahoma loves brides who are movers and shakers and who trust her to do her job at the highest level. She also loves working with couples that respect each other. Lahoma's favorite part about planning weddings is that special moment when she watches the bride and groom being able to fully experience the wedding day knowing she and her team were able to calm their fears and provide assurance. The one piece of advice that Lahoma can offer brides is to focus on what matters the most. Your marriage! Don't get caught up on your wedding more than your partner. Also make sure that you invest in a quality photographer and in yourself more than anything else. At the end of the day you are what matters most and the memories of your day needs to be preserved the best way possible. If you are looking for a wedding planner who has knack for infusing culture into the details and has over 10 years experience in the Austin market and beyond then be sure to check in with Lahoma at Events Unleashed. Having just moved here from Atlanta, Janel is new to Austin and looking to make a splash in the booming Austin market. Before wedding planning Jenelle worked in the marketing scene, planning corporate events as well. She boasts an impressive resume of 10 years of wedding experience in addition to internship experience and a wedding and event planning certification from Georgia Perimeter College. Since launching her company, Janel Elise Events, a little over five years ago Janel has planned over 75 weddings and typically plans about 20 per year. She's done lots of traveling as she's planned weddings in Florida, North Carolina, New York and Tennessee and has dealt with brides from all walks of life. Right now Janel is a one woman show and looks to connect with wedding professionals from all over the city. Janel equates hiring a wedding planner to taking a guide up a mountain that you plan on climbing for the first time. You may have watched videos and read books but when it comes to such a large and complex task why would you try to climb it yourself? Similarly, why would you try to plan your wedding when there are a myriad of professionals available to make sure everything runs smooth on the most important day of your life? Janel's ideal client is a fun bride that doesn't take everything too seriously and prioritizes the aesthetics of the wedding. Janel feels strongly that the decor and feel of your wedding should reflect your own personality and she attempts to make that happen with each and every wedding she plans. If you are looking to go with a wedding planner who has a formal education, experience from a different market and fresh ideas to bring to your vision then Janel is your go to. Chelsa's personal journey into the world of wedding planning unknowingly began as a child where she pretended to be a business owner in her great aunt and uncle's flower + balloon (funnily enough balloons are so in right now!) shop. Fast forward to present day where Chelsa operates Modern Rebel's remote location right here in Austin, Texas. Based out of Brooklyn and founded in 2015, Modern Rebel is an event planning and design company for progressive couples looking to plan their 'love party.' 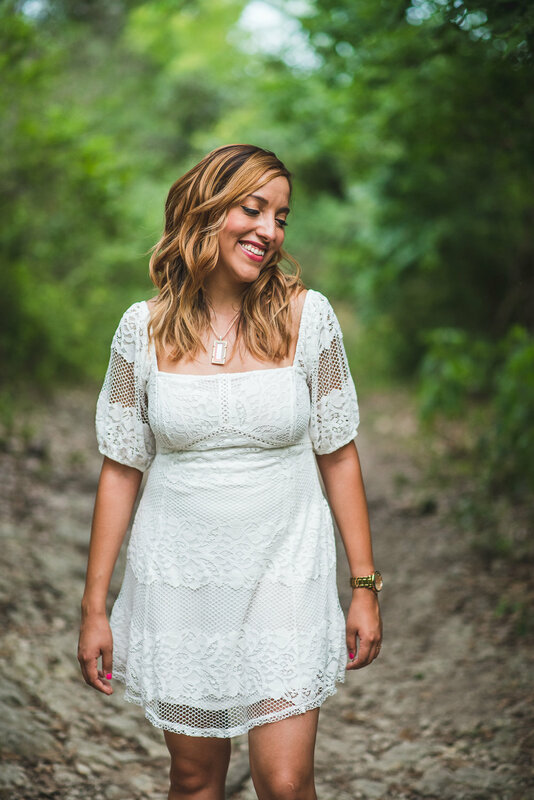 With more than five years of wedding planning experience Chelsa heads the Austin location. Chelsa has experience planning events, retreats, bar mitzvah, birthday parties, stylish store fronts and openings as well as in addition to weddings. She loves planning the traditional sized wedding as well as more intimate weddings and elopements. At the core of what the does, Chelsa believes that when you are planning someone's wedding you should want to be that person's friend. With this idea in mind, Chelsa's skillset is the perfect compliment to a company like Modern Rebel that prioritizes not creating a manufactured wedding experience. The best piece of advice Chelsa can offer couples looking to plan their wedding is to resist the temptation to cave into pressures from friends and family. Above all else, strive to maintain your ideas and budget and don't compromise your vision. After Modern Rebel planned a wedding for a couple at a concert hall where the couple performed their own concert afterwards is proof to her that as a couple you need to stick to your guns. Chelsa's ideal client is someone who trusts the process and team. When it comes to hiring a planner, or any wedding professional, it's important to know that they have your best interests at heart and that you should be trusting enough to give them the motivation to do what they do at the highest level. With packages that include hands on, complete wedding planning down to simple, wedding day coordination and/or decor consultations Chelsa and Modern Rebel are the perfect combination of attention to detail and dedication to authenticity. For the alternative couples looking for a wedding experience that doesn't compromise their personal perspectives or views, you absolutely need to grab a latte with Chelsa and talk more about your wedding. Satori has spent an entire decade of planning weddings and events all in Austin, Texas. She's always been involved in the wedding industry as her mom use to own and operate weddings venues. Since opening The Blueprint in September of 2008, Satori has planned over 230 events in every major city in Texas, Panama, Costa Rica, France and Dubai and also has two locations, one in Colombia and another in Dubai. WOW! Satori has several certifications the association of wedding planners and is constantly attending floral design seminars and design conventions to stay current on all trends. She also has been featured as a guest speaker on several conventions as well, placing her at the forefront of wedding planning trends year after year. Not to mention, she's been selected as the best fusion wedding and event planner in Austin by The Knot USA since 2012. Satori's best piece of advice for anyone planning a wedding is that it is of utmost importance that you value the connection you have with your planner above all else. If you don't connect with the people that are going to work with you then you shouldn't hire them regardless of reputation, reviews etc. You need to feel completely comfortable at all times. Her favorite part about planning weddings with her clients is the connection that they form over time as they connect, plan coordinate and bounce ideas back and forth between one another. She enjoy watching their relationship grow as everything culminates on their big day. Satori's ideal client is the couple that allows her to create new memories for them and trusts her expertise and experience throughout the entire process. Satori and her team of 5 are as dedicated and committed as they come and when they put their collective knowledge and ideas together, they are able to create magic. There's nothing better than having clients who sit back and confidently allow you to do what you do. Whether you're looking for boho, gothic, fusion or Indian inspired wedding, Satori and her team over at The Blueprint have a depth of cultural knowledge that can be matched by few and the fact that have active partnerships with W Hotels, The Hilton, JW Marriott, the Doubletree and many more, you can rest assured knowing that they have connections and influence that go a long way. Whether you're looking to plan a 3 days events with hundreds of guests or an intimate gathering of friends from around the world, Satori will take amazing care of you. And there you have it. 10 awesome wedding planners, all of which with their own unique strengths and approach to planning your big day. Whether you're planning a large celebration or an intimate gathering, a culturally infused family affair or a luxurious gala, this list of planners is the perfect springboard in your journey towards choosing someone to help pull off your wedding day celebration. Be sure to check them out and don't forget to tell them I sent you. If you'd like to learn more about me, click below.